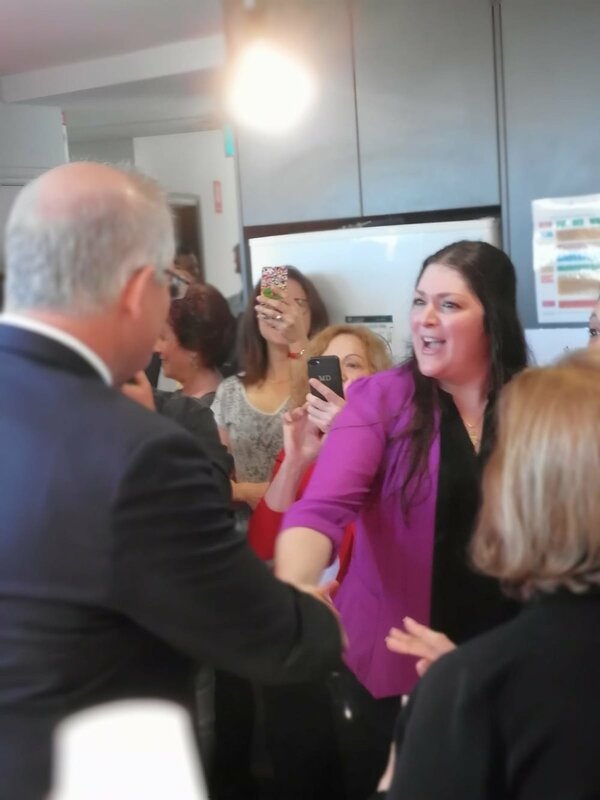 PM Scott Morrison visits Access Inc — Access Inc. This was the exciting call we received from Kate Ashmor - Liberal for Macnamara asking us if the Prime Minister could drop by for a visit to Access! 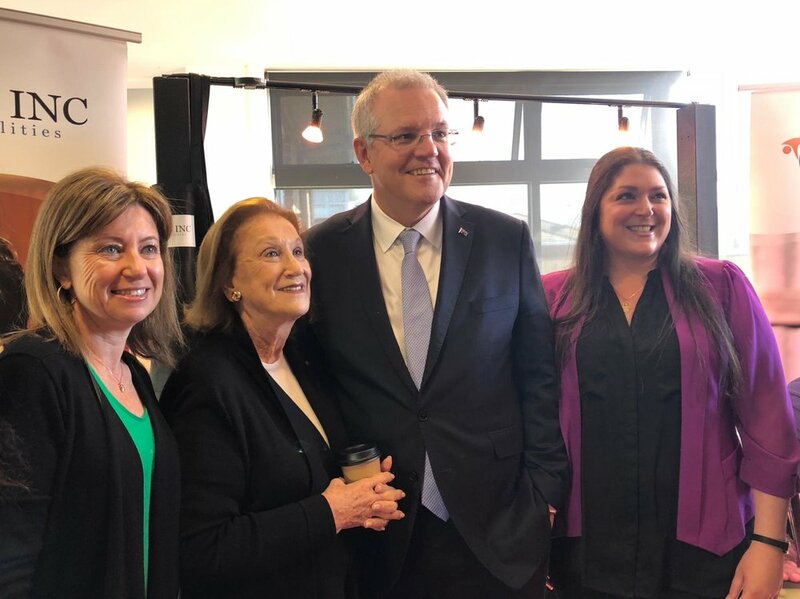 Speaking at the Beth Weizmann Jewish Community Centre about the Liberal Party’s support for the Jewish community and announcing funding for security upgrades, Prime Minister Scott Morrison (ScoMo) met with Access Life Skills participants and got a coffee-making lesson from two of our Access Espresso trainee baristas. 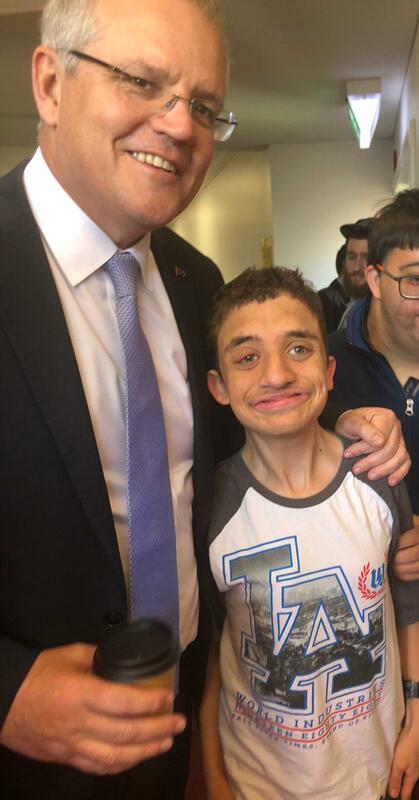 We managed to capture the visit in all of its excitement in this video and as you can see, the Prime Minister was an enthusiastic and attentive student and took the time to introduce himself to all of our participants! We were also joined by Pauline Gandel of the Gandel Family and Gandel Philanthropy, who are passionate supporters of Access and the major funders of the Access Espresso and Access Bakery social enterprises. We would like to thank everybody who participated in and made this special visit possible. 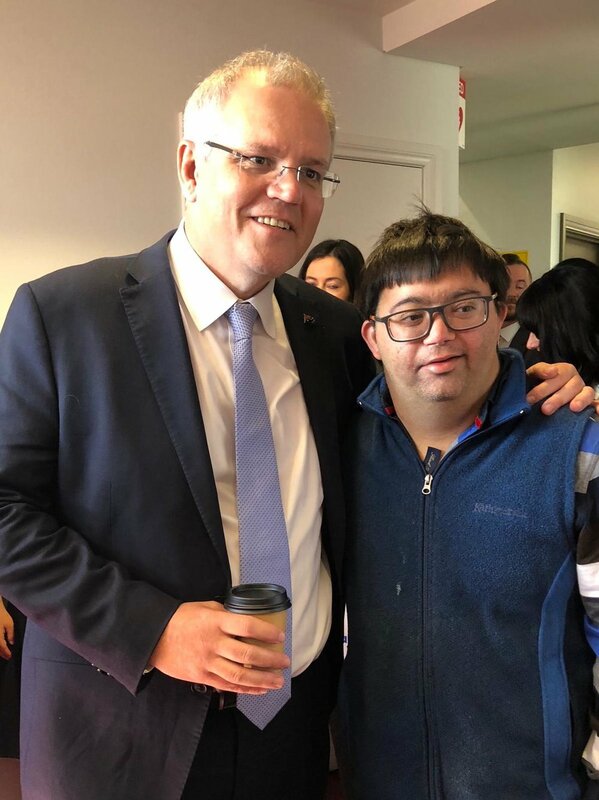 A special mention to the Prime Minister for taking time out of his busy schedule to come and learn about Access – our participants are still on a high! Thanks again also to Pauline Gandel and Nicole Kleimann Brittain from Gandel Philanthropy for joining us, Kate Ashmor - Liberal for Macnamara and David Southwick for organising the visit and Zionism Victoria for hosting. A big well done to the Access team and participants who were there – you represented yourselves and Access beautifully! Thank you to our photographer Alex Beaconsfield who took some of these photos as well as everyone who sent us their pics to share. Sign up with your email address to receive news and updates from Access Inc.